The International Appraiser: Objective valuation advice on international real estate: Discounted Cash Flow Analysis throughout the world – Who does it right and who does it wrong? Discounted Cash Flow Analysis throughout the world – Who does it right and who does it wrong? 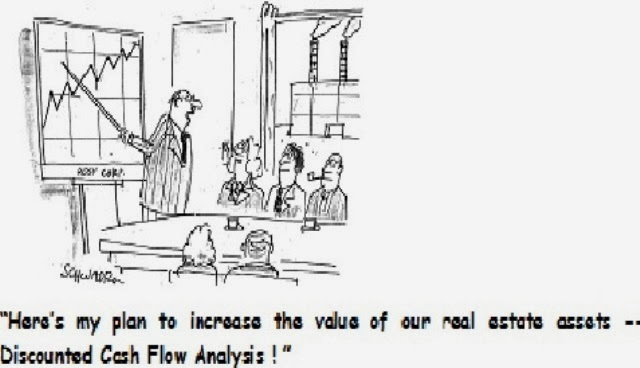 I entered the appraisal profession at an opportune time – in the mid-1980s, when discounted cash flow (DCF) analysis had come into vogue in the real estate industry. The crowning moment for DCF’s new place in real estate investment analysis became apparent in the purchase of the Pan Am building (now the Met Life building) in New York in early 1981. The price paid shocked many, as it reflected a “going-in” capitalization rate of just 4% for an 18-year-old building in a time of high inflation. Manhattan was just awakening, though, from a 1970s stagflation-induced real estate coma of no new construction, and the rapid expansion of the financial industry brought the Manhattan office market to full occupancy, with rents increasing 50% from early 1979 to the end of 1980. The buyers of the Pan Am Building relied on a DCF model based on cash flow projections for years into the future, anticipating the ability to re-lease space at much higher rental rates. In this context, the purchase price was justified. 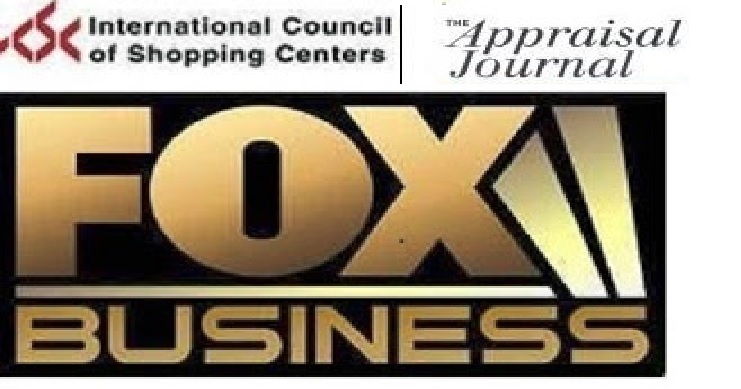 I was recruited out of graduate school by Jones Lang Wootton, where I was promptly put to work creating DCF models for regional malls and high-rise office buildings owned by their institutional clients. 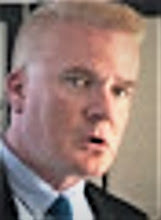 My work wasn’t questioned because my superiors had never been taught DCF analysis and did not understand how it worked. Many of my business school peers also landed into cozy positions not previously available to new graduates, all because they could perform DCF analyses. In hindsight, all of the DCF models of the 1980s were toxic, rosy fantasies which failed to consider the possibilities of overbuilding and recession. Hundreds of billions of dollars were lost based on DCF models – and will continue to be lost, as I am about to explain. Between 1988 and 1998 I worked as a bank review appraiser and chief appraiser and reviewed a lot of commercial real estate appraisal reports, noticing that when appraisers used both a DCF model and a direct capitalization method in their reports, the DCF model usually produced higher estimates of value. One reason why was because they projected income growth equal to or exceeding expense growth, contrary to the documented operating histories of most income properties. In examining the long-term operating histories of income properties, expenses increase faster than revenues over the life of the building. This is why expense ratios are higher for older buildings, as is graphically demonstrated by a typical subset of BOMA data in Figure 1, and is equally supported by IREM data. Notice how the line representing the operating expense ratio for each age subcategory increases in slope relative to gross income. The numerator, Expenses, is increasing faster than the denominator, Gross Income. This is a graphical proof of expenses increasing faster than income for income properties. There is a logical reason for this. As a building ages, it becomes less competitive in its marketplace and the rate of rental increase slows, while the aging of the property requires increasing maintenance and capital improvements expenditures. This is the reality of physical and functional obsolescence. The natural end of the economic life of a building is when expenses finally exceed collectible income. If expenses typically grew no faster than income, on the other hand, no building would become obsolete. That would be nice for building owners, but the real world does not operate in this manner. DCF models which forecast expense growth to be the same rate as consumer price inflation are therefore fundamentally wrong. Since it is so hard for some appraisers and valuers and even the Appraisal Institute to accept this, let me present an analogy – your car. What are your likely operating expenses for your car in its first year of operation? Perhaps $100 to $200 for oil changes. With consumer price inflation currently at about 2%, would you predict the car to cost you $102 to $204 in its second year of operation? $104.04 to $208.08 in the third year? What about the 10th year? Would you expect operating expenses in the range of only $119.51 to $232.02? No, because the car is a deteriorating asset, and many parts will need replacement. A building is a deteriorating asset, too. There are two forces governing expense growth – price inflation and increasing maintenance and capital improvement needs. This places the rate of expense growth higher than price inflation alone. 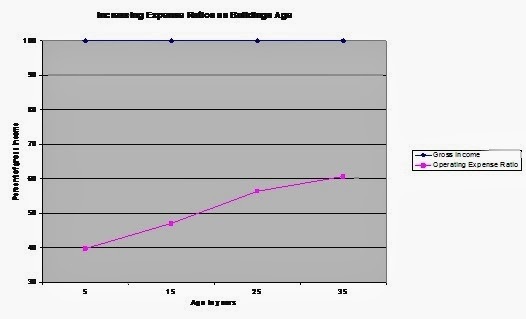 The above graph, indicating the typical pattern of expenses increasing faster than income for income properties, was originally part of my book (see sidebar) for the Appraisal Institute, but was not allowed by the editors, as the Appraisal Institute maintains that income and expenses increase at the same rate. This is also reflected in the 13th Edition of The Appraisal of Real Estate, published by the Appraisal Institute in 2008, in which DCF models indicate decreasing operating expense ratios as buildings age. This is a mysterious retrogression for the Institute, who published my uncensored article on DCF analysis in The Appraisal Journal in 1990. To deny now what I wrote then makes me wonder if they’ve been hijacked by the Flat Earth Society. It also suggests that a generation of MAIs has been taught to overvalue properties using DCF analysis. The Appraisal Institute may be a formidable opponent for me to challenge, but fortunately, I have rules of arithmetic on my side. Why is this matter so important? Most DCF models project 11 years of cash flows, and the underestimation of expense growth gets compounded, resulting in serious overvaluation. Belgium, Canada, Czech Republic, Denmark, France, Germany, Hong Kong, Italy, New Zealand, Poland, Portugal, Saudi Arabia, Spain, Sweden, Taiwan and Turkey. Argentina, Bulgaria, Chile, Indonesia, Japan, Romania, South Korea, and the Turks and Caicos Islands. Getting beaten by the likes of Argentina and Bulgaria in DCF analysis should shame appraisers and valuers from the most affluent Western nations into "stepping up their game".